Fenugreek is an erect annual herb, growing about 2 feet high. The leaves grow in clusters of 3 each one between 1 to 2 cm long. The seeds are brownish, about 2-3mm long, oblong, rhomboidal, with a deep furrow dividing them into two unequal lobes. Fenugreek is used both as an herb (the leaves) and as a spice (the seed). 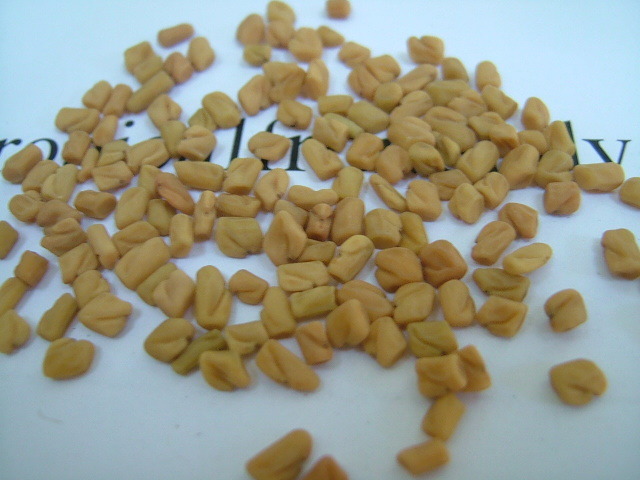 The yellow, rhombic fenugreek seed is frequently used in the preparation of pickles, curry powders and pastes, and is often encountered in the cuisine of the Indian subcontinent and Thailand. The young leaves and sprouts of fenugreek are eaten as greens and the fresh or dried leaves are used to flavour other dishes. The dried leaves have a bitter taste and a strong characteristic smell which means they need to be used sparingly. A side effect of consuming even small amounts of fenugreek is a maple syrup or curry smell in the eater's sweat and urine which is caused by the potent aroma compound sotolone. Fenugreek is frequently used in the production of flavouring for artificial syrups. The taste of toasted fenugreek is additionally based on substituted pyrazines, as is cumin. By itself, it has a somewhat bitter taste. Fenugreek has been consumed for its health benefits for thousands of years. Fenugreek is used as a diaphoretic, it is able to bring on a sweat, and help detox the body. 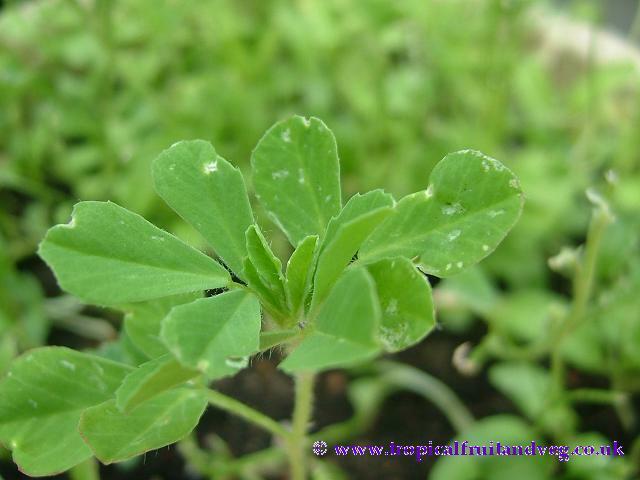 It is a valued herb for all mucus conditions of the body, particularly the lungs, by helping to clear congestion. Use for head colds, influenza, catarrh, bronchial complaints, asthma, emphysema, pneumonia, pleurisy, tuberculosis, sore throat, laryngitis, hay fever and sinusitis. It is also used to treat arthritis and reduce cholesterol levels in the blood. Does best in warm sunny conditions. It can be cultivated indoors if kept on a warm south facing window sill. 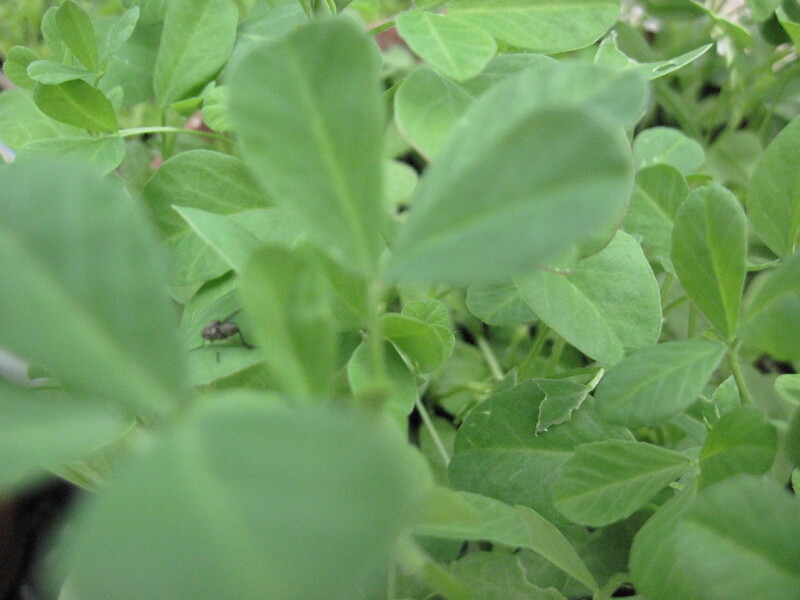 Fenugreek prefers deep, well drained loamy soils with pH of 6.5 - 8.0. It cannot stand waterlogged conditions or soils with a high clay content. Fenugreek will grow very easily from seed. Sprinkle lightly in damp rich soil, lightly cover with more soil. Keep in a warm moist environment, the seeds should start germinating in 3 to 4 days and are ready for culinery use with 2 to 3 weeks.